Salman Khan is all set to hit the theatres with his upcoming movie ‘Sultan’ this July 6. Fans are already going gaga over the songs and video from the movie, but this new dialogue promo that was released by Yash Raj Films is taking social media to storm. In the new video from the movie you can see Salman Khan saying, "Shah Rukh Khan ka mazaak mat udao..manne bahut pasand hai. Jab woh ladki ke aankh mei aankh dalke dekhe hai na, to andhi ladki bhi pat jawe hain". Reports and roumours said a lot about Shah Rukh Khan and Salman's cold war, but seems like all is going well now. Earlier there was news that SRK might have a cameo in the movie, but after losing his cameo he has definitely found an inroad to the film through this mention. Movie 'Sultan' is directed by Ali Abbas Zafar and features Salman Khan and Anushka Sharma in the lead. Beauty and new mom Genelia D'Souza will soon be seen doing a cameo in ‘Force 2’. We all know that, Genelia played the role of John Abraham's wife in the 'Force' and now we get to know that she will also be a part of the second installment. Which I know is great news to all Genelia fans! In the movie 'Force' the movie ended with the death of Maya, the character played by Genelia. But in 'Force 2' we will see ACP Yashvardhan played by John Abraham recalling about his good memories with Maya. Media reports also say that, director Abhinay Deo revealed that they have already shot with Genelia for the film. Though 'Tevar' actress Sonakshi Sinha will be playing the lead in ‘Force 2’while Genelia D'Souza will only be seen in a cameo of sorts in the sequel. This movie 'Force 2' also features Tahir Raj Bhasin, who was last seen in 'Mardaani'. It is being produced by Vipul Shah in association with Viacom 18 and will hit theatres on November 18. Two big ruling Khans of Bollywood Shah Rukh Khan and Salman Khan has always been in news for their love towards each other or cold war. Both have always been the biggest news makers of the film industry and fans of both have always been waiting to see their Bhai-Bhai moment. Salman and Shah Rukh have not shared screen space together post Karan Arjun but when they meet or hug its more than a celebration. 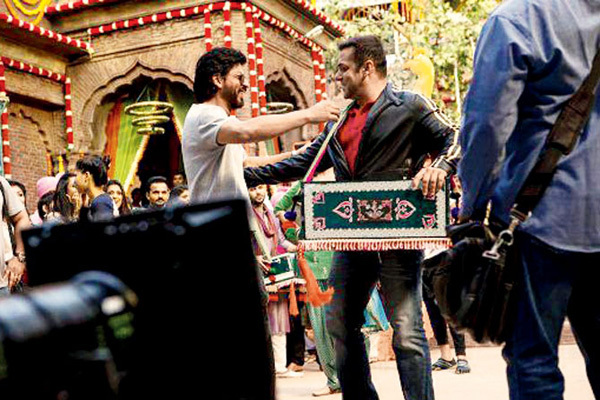 But it was just yesterday that that Shah Rukh finally decided to surprise his and Salman Khan fans. He postted a pic on Twitter and captioned it saying, "Bhai bhai on bike bike. No pollution..bhai says "Michael Lal Cylcle Lal." 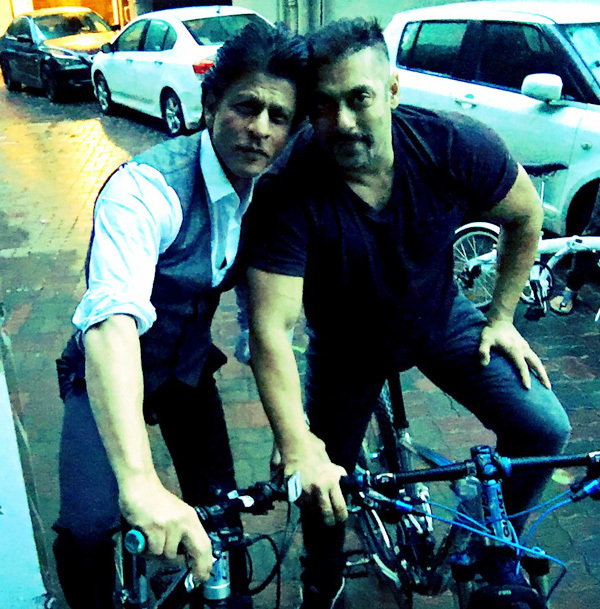 Looks like, SRK and Salman have been cycling together early morning giving out the message of protecting the environment from air pollution. Thus Karan-Arjun picture has made our day, what about you?